Mor Divanasios V was born on December 7, 1832 (M.E. : Vrischikam 24, 1008), in the well known Pulikottil family of Kunnamkulam in North Kerala. His father was Tharu Kurien, nephew of Mor Divanasios II (founder of the Syrian Seminary at Kottayam) and mother, Thadamma of Paigamukku 'Kuthuru' family. He was baptized by name 'Joseph'. At the age of five Joseph started his education and in 1843, he became a student of his uncle Fr. Joseph who taught him theology and Syriac. The education in those days were limited to the learning of only a few languages of their religious affiliations. But young Joseph being an enthusiastic, mastered Hindustani & Sanskrit as well. At the age of 13 on 5th October 1845 (M.E. : Kanni 23, 1021), young Joseph was ordained 'KOROYOO' (Sub-deacon) by Mor Divanasios IV Cheppaud. The ordination took place at the Kothamangalam Mar Thoma Cheriapally (ext) where the mortal remains of Maphryono St. Baselios Yeldho (ext) is interred. After his ordination, Dn. Joseph returned to his native place, Kunnamkulam and continued his theological studies under his uncle. In 1849, the Patriarchal delegate Mor Athanasius Sthephanos, ordained him to the order of 'SAMSHONO' (Full Deacon) at Arthat St.Mary's Church, Kunnamkulam. His education with the delegate helped him to master Syriac hymns & other religious practices of the Suryani Church. After the return of Mor Athanasius Sthephanos to Antioch, Dn. Joseph accompanied the next Patriarchal delegate Mor Kurillos Yuyakim as his secretary. About a year later, on 18th August 1852 (M.E. : Chingam 6, 1028), Dn. Joseph was ordained 'Kassisso' (Full Priest) at the Chalassery Church near Kunnamkulam by Mor Kurillos Yuyakim. 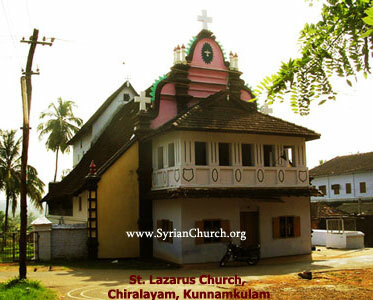 The first holy Qurbono by Kaasisso was offered at the St. Lazarus Church, Chiralayam, Kunnamkulam. The crisis in the Malankara Church at the time had developed into an uncontrollable situation. The rebel metropolitan Palakunnath Mor Athanasius, who by then joined the western Protestant group, created various problems for the Malankara Church with the British support. Earlier many of the delegates send by the Patriarch of Antioch, were forced to return due to the adverse decisions of the western missionaries. It was only Yuyakim Mor Kurillos, who reached Malankara in 1846 as a representative of the Patriarch of Antioch, dared to continue in Malankara in-spite of stiff opposition. He together with the then Malankara Metropolitan Cheppaud Mor Divanasios IV (ext), fought the atrocities of the British missionaries. With the demise of Cheppaud Thirumeni in 1855, Yuyakim Mor Kurillos was entrusted with the responsibility of governing the whole of Malankara Church. Though he successfully led the Malankara Church for a long period, the continued problems created by the European missionaries become a great headache for him and as well as the Malankara Church as a whole. Hence the Malankara Church requested the help of its mother Church at Antioch to send more prelates for guidance. But the Patriarch after consultation with his subordinates in the Middle Eastern dioceses, decided to ordain a Metropolitan of Indian origin instead of sending more prelates from Antioch. The objection of the British missionaries, the increasing number of court cases, communication problems, the extreme climatic variations which they were not used to etc., had by then made the life of Syrian Metropolitans very difficult (see Page 26 of the biography). On the continuous plea of the Malankara Church, His Holiness promised to retain a representative of the Patriarchate of Antioch in India in addition to a native Metropolitan who was to be ordained soon. Consequent to the decision of the Patriarch to ordain a new Metropolitan, series of discussions started in Malankara and Kassisso Joseph Pulikottil was informally chosen as the candidate. A prominent Priest of the Malankara Church, 'Edavazhikal Valiyachen' of Kottayam (grand father of the famous Church historian Edavazhikal E M Philipose & great grand father of Mor Severious, the 1st metropolitan of Knanaya diocese) was authorized to discuss the matter with Kassisso Joseph and also to obtain his consent. Accordingly Kassisso Joseph met this senior priest at Kottayam. Though initially he hesitated, Kassisso finally agreed with the decision of the Church dignitaries for his ordination as Metropolitan. This decision was communicated to the Syriac Orthodox Church headquarters at Mardin and waited for the Patriarch's approval. In 1863, the Patriarchal bull regarding the ordination of Pulikottil Fr. Joseph as Metropolitan reached Malankara. On 14th March 1864, Fr. Joseph who was about to leave for the Patriarchate at Mardin, was felicitated at a grand function held in his native place, Kunnamkulam. Following this, he went to the church at Kolencherry and met the delegate of the Holy See 'Yuyakim Mor Kurillos' who was then staying there. On 30th May 1864, Fr.Joseph Pulikottil boarded the ship from Cochin together with Mattummel Fr.Geevarghese and 'Kuthuru Tharappan' of Kunnamkulam. Fr.Geevarghese accompanied the Metropolitan-designate, on the special request of Mor Kurillos Yuyakim. The travel to such a distant place during this time was really a difficult experience; a detailed explanation about this is given in the biography of Mor Divanasios. Their journey continued through various ancient Syriac Christian areas of Basra, Baghdad, Mosul etc. It took four months to reach the final destination (on 30th August) at the Patriarchal Palace of Mardin, one of the oldest Syriac Christian settlements situated in Turkey. The Church dignitaries and the local people gave a rousing welcome to the Metropolitan-designate. After a few days, Fr.Joseph Pulikottil and one of his companions, Mattummel Fr. Geevarghese were infected with a serious illness. On 26th September, Fr. Geevarghese who was only 30, died of the epidemic and was buried at the Dayro church of Mardin. Fr. Joseph Pulikottil, however as per God's will, was miraculously cured in a few weeks time and continued his stay for another eight months, visiting many of the nearby Syriac churches including the famous Syrian Orthodox Dayro at Mardin (ext) & Deiro d'Mor Gabriel at Midiyat (ext), Turkey. 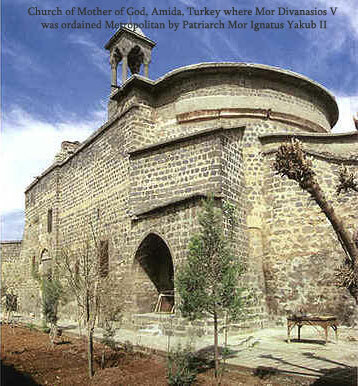 On 11th 'Medam' he left for the church at 'Amida' (Diyarbakir) on the request of H.H. the Patriarch for his ordination as Metropolitan. During the Holy Qurbono on Medom 19th at Diyarbakir St. Mary's Church, the Patriarch formally announced the ordination of Kassisso Joseph Pulikottil which was scheduled for the next Sunday. The day before his consecration as Metropolitan, Kassisso was elevated to the order of 'Ramban' (Monk) by His Holiness the Patriarch and this was on Saturday 6th May, 1865 (Medom 25). On Sunday early morning of 7th May AD. 1865 (M.E. : Medom 26, 1040), Fr. Joseph was ordained as Metropolitan with the title "MOR DIONYSIUS" by the Patriarch of Antioch and all the East, Moran Mor Ignatius Yakoob II, at the ancient Church of the 'Mother of God' at Amida (Diyarbakir) in Turkey. Besides the Metropolitan of Mardin diocese Mor Dionysius, an Armenian Metropolitan was also invited by His Holiness for the consecration ceremony. Around six Rambans, ten Priests and many number of deacons of the Syriac Church were also present during the holy ceremony. Three other Metropolitans, including Mor Divanasios of Mardin diocese, a Metropolitan of the Diyarbakir Church and an Armenian Metropolitan participated in the Holy ceremony. A week after his ordination as Metropolitan, Mor Divanasios Joseph started his return journey to Malankara. On his way to Bombay, he visited another ancient Suryani Dayro at Mosul (ext), as a guest of the Metropolitan residing there. The British Consulate residing at Mosul (present Iraq) endorsed the ‘Sthathikon’ he received from the Patriarch of Antioch on his ordination as Metropolitan, confirming his status. On his return, the newly ordained Metropolitan 'Mor Divanasios Joseph', together with the Malankara Metropolitan Yuyakim Mor Kurillos (a native of Tur'Abdin in Turkey), worked tirelessly to re-establish the true faith of the Syriac Church. In February 1871, Patriarch Ignatius Yakoob II who ordained Pulikottil Thirumeni, died and for the selection of a new Patriarch for the Holy See, Mor Divanasios Joseph and Mor Kurillos Yuyakim were invited. But due to the peculiar situation that existed in Malankara, both couldn't attend the Holy Synod. After a long stay here at Malankara, the Patriarchal delegate Yuyakim Mor Kurillos passed away on September 2, 1874 and his body was entombed at the Mulunthuruthy MarThoman Church (ext). Thereafter Pulikottil Mor Divanasios had to lead a lonely battle against the atrocities of the European missionaries. Just after his return to Malankara after being ordained as Metropolitan in 1865, Mor Divanasios Joseph had appealed to the Travancore Government, for revoking the Royal Proclamation, issued earlier, in favour of Mar Athanasius on the ground that he (Mor Divanasios) was the legitimate Metropolitan of Malankara, consecrated by the Patriarch. Though this appeal was rejected by the Dewan of Travancore, he asked Mor Divanasios to sue against Mar Athanasius in respect of any one church, so that the findings of the court on the matter might be applied regarding all churches. And, thus began litigation, for the first time, in the Malankara Church. But Mor Divanasios could gain nothing. The influence which Mar Athanasius had with the British Resident, C.M.S missionaries and other government authorities was the root cause of all the failures. Efforts for preventing Mar Athanasius from receiving the interest of the Trust Fund, too, became futile. For ten years he was in arena. Unfounded by his failures, Mor Divanasios appealed to his Supreme Spiritual leader, the Patriarch of Antioch for help. On knowing the urgency of the situation, in AD 1874, the Patriarch Mor Ignatius Pathros IV (III) (ext) ignoring his old age (then 74), started the difficult mission to Malankara. The Patriarch on his way to India first visited Great Britain and held discussions with the directors of the East India Company regarding the unfair approach of the British authorities towards the Suryani community in India. H.H. also met the King of England and briefed about the situation of Syriac Christians of India. These interactions were fruitful. Thereafter, the British authorities in India adopted a neutral stand and the courts also became impartial. The Patriarch was able to get the royal proclamation cancelled, thus got a fair chance for the Malankara Church. The Jacobite faith in the country that seemed to disappear altogether under the influence of western protestant missions, was once again rejuvenated by the great efforts of the Patriarch. On reaching Malankara (in 1876), the Patriarch being very particular about the future administration of the Malankara Church, held series of discussions with the local Suryani community. Finally on 28th June 1876, His Holiness the Patriarch of Antioch convened a Holy Synod at the ancient Mulunthuruthy Church (ext), which continued for three days. The metropolitans that participated in this historical Mulunthuruthy Synod (ext), included 'Pulikottil Mor Divanasios Joseph' of 'Malankara Archdiocese' and 'Mor Gregorios Abdulla' of 'Jerusalem Archdiocese' (later Patriarch of Antioch, Mor Ignatius Abded'Aloho from 1906). The Chief organizer of the Synod was Chathuruthil Geevarghese Ramban (Parumala Thirumeni), the then secretary to the Patriarch. For administrative convenience, six new dioceses were formed and the Holy Synod also decided to ordain Metropolitans for each. ('St. Gregorios' of Parumala and 'Kadavil Mor Athanasius Paulose' of Aluva were among the six Metropolitans ordained as per the decision of this Synod). The synod also decided to form a 'Syrian Christian Association', comprising of representatives from the parishes in Malankara, to manage the temporal affairs of the local Church. During the historical Synod held at Mulanthuruthy MarThoman Church, Mor Divanasios Joseph was unanimously chosen as the MALANKARA METROPOLITAN (President of the Church Association) and as the HEAD of the LOCAL SYNOD. Thereafter he came to be called 'Mor Divanasios the Vth', the title conferred to the prelates of the Malankara Church since 18th century. On 27th August (Chingam 15th) the same year, 'Holy Muroon' was consecrated for the first time in Malankara, by the Patriarch of Antioch Mor Ignatius Peter IV assisted by the Malankara Metropolitan Pulikottil Mor Divanasios V and Metropolitan of Jerusalem, Mor Gregorios Abdulla (Patriarch of Antioch, 1906-'15). Later, as per the decision taken at the Mulanthuruthy Synod, five Metropolitans were ordained for the newly formed dioceses by the Patriarch before His Holiness left for Mardin in May 1877. From the day of ordination as Metropolitan in 1865, Mor Divanasios Thirumeni had to face tough situations and it was only his undaunted faith, which helped him to overcome the turbulent periods. The difficulties he had faced were extraordinary and unimaginable. Mor Divanasios was very grateful to the Patriarch Mor Ignatius Peter IV of Antioch for his sincere efforts in the reorganization of the Malankara Suryani Church. The English Medium school started by the Church in 1899 at his native place Kunnamkulam by Parumala Thirumeni, was named after this Patriarch's title, 'MOR IGNATIUS'. Kadavil Paulose Mor Athanasius (Thrikkunnathu St. Mary's church, Aluva) & Chathuruthy Geevarghese Mor Gregorios (Parumala Thirumeni) (ext), who were ordained as Metropolitans in AD 1876, were the two most trusted companions of Mor Divanasios V. The three worked in unison for the uplift of the Malankara Suryani Church. The famous Church historian, Edavazhikal E M Philipose who served the Church as the secretary of the Syrian Christian Association, was another of the closest aides of Pulikottil Thirumeni. Their relationship was considered to be unique. In the autobiography of E M Philipose published after his demise, Mammen Mapillai, the then Chief editor of Manorama Daily gives an indication of their closeness in the preface he wrote. 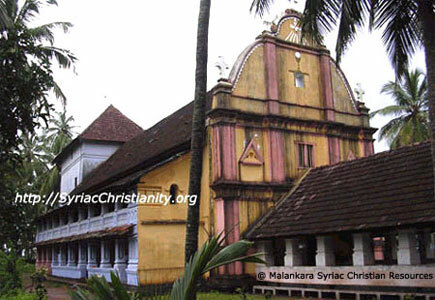 It was during the tenure of Mor Divanasios V as 'Malankara Metropolitan', a large gathering of Roman Catholics from Goa joined the Syrian Orthodox Church. Fr.Alwarez a member of this group was later consecrated as Metropolitan 'Mor Julius' by Mor Divanasios Thirumeni and his subordinates in 1889 with the permission of the Patriarch and was given the charge of Mangalore & Bombay dioceses. (Mor Julius was the founder of St.Antony's Mission at Mangalore, which is now under the direct administration of the Patriarch of Antioch). Later under the influence of this Metropolitan Mor Julius, another group of Roman Catholics from Ceylon & America, joined the Suryani Church. Fr.Rene Villate, a French Priest was ordained as, Metropolitan Mor Thimotheos for the newly formed American dioceses in 1892. They left the Roman Church, opposing the atrocities of the powerful Jesuits (a missionary group within the Roman Church). Mor Divanasios V, Kadavil Thirumeni & Parumala Thirumeni were the intermediaries for the discussions between these Roman Catholics and the Patriarch of Antioch. Again it was under the able leadership of Pulikottil Mor Divanasios V, the Malankara Church started functioning in an organized form. He was instrumental in starting theological seminaries and English Medium Schools, all over Malankara. In 1870, a Syriac printing press, 'Sainthomas' was started at Cochin, as per the request of Mor Divanyasious V, for publishing Syriac prayer books. At around the same time he started a Church magazine, 'Kerala Pathaka' in Malayalam, which was later merged with another news magazine, 'Paschima Tharaka'. Unfortunately this Church periodical was terminated following financial difficulties. But again in January 1892, under the guidance of Mor Divanasios and with Edavazhikal E M Philipose as the Chief editor, another periodical of the Syrian Church, 'Edavaka Pathrika' was started publishing from Kottayam Mar Thoma Press. 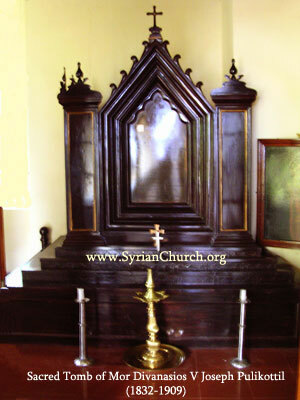 This was a necessity to propagate the messages of the Syrian Church in Malankara. 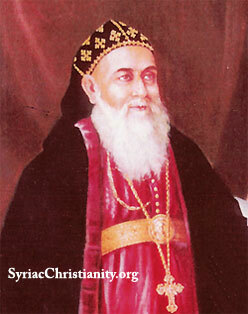 Since the 'Old Seminary' at Kottayam, started by his predecessor, Mor Divanasios II in 1815, came under the influence of the reformist bishop Palakunnath Mathews Mar Athanasius, it became a necessity for the Syrian Church to start another theological institution in order to give proper education for the clergy. The protestant influence was then much greater in southern parts of Malankara. So Mor Divanasios was very particular to start a Seminary there, and after a series of enquiries, he decided to buy some land at Parumala. But the landowner, Mathen of Arikupurath family, was kind enough to donate the land for the cause. Thus started the beginning of the famous Parumala Seminary. The Seminary started functioning soon (in A.D.1872) and 'Ramban Geevarghese' (Parumala Thirumeni) was appointed the first tutor as per the will of Mor Divanasios Joseph. Besides Parumala Seminary, 17 other Churches were established all around Malankara under the guidance of Mor Divanasios during the first ten years of him becoming a Metropolitan. The 17 Churches were located at Karuvatta, Katturu, Ayriroor, Puthenkavu, Oonakkur, Chelattu, Kanayattunirappu, Mazhuvanoor, Nellikkal, Marattil, Kundra, Kodachanadu, Vengoor, Manjapra, Allapra, Thiruvankulam and Chalassery. All the Churches in Southern Malankara were built, because of the adverse decision pronounced through a Circular by the Travancore government, which forced the ancient Suryani community to leave their respective Churches. 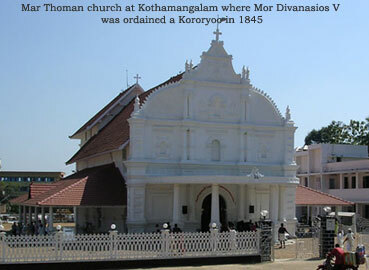 With the arrival of Patriarch in AD 1875, the adverse situation that existed in the Malankara Church changed for the better and gradually, Mor Divanasios was able to recoup almost all the prominent churches. The old Seminary at Kottayam was recovered from the reformists through a royal court decision in 1889. This was a major victory for the Syriac community and more particularly for Mor Divanasios. This seminary started by his grand uncle, Mor Divanasios II in 1818, was under the influence of reformist bishops for some decades. 'Mar Dionysius (M.D) Seminary English medium High School' at Kottayam was founded in January 1893 by Mor Divanasios V on the land donated by one of his British friends, 'Dora Saipu'. (This school is named after Mor Divanasios V.) Until then, the Syriac community had the opportunity for English education only in the schools run by the western missionaries. As a result of their western influence, those who studied in these schools gradually drifted from the main stream Church. These westerners besides glorifying their faith, always ill-treated those from the Suryani community by emphasizing the faith of Apostolic Churches as superficial (from the autobiography of E M Philipose). It was in this context, to safe guard the interest of ancient Suryani Christian community, Mor Divanasios decided to start English medium schools by the Suryani Church. In 1901, Golden jubilee celebration of Pulikottil Mor Divanasios Thirumeni's priestly ordination was celebrated majestically at Kottayam. In recognition to his dedicated services for the cause of the Malankara Church, a 'Mangalapathram' (felicitating message) signed by all the Church prelates and about 85000 laymen, was submitted to the Malankara Metropolitan at the function. A year later in November 1902, Chathuruthil Mor Gregorios Geevarghese (Parumala) died. His demise at the most unexpected time was a severe blow for Mor Divanasios as it was Parumala Thirumeni whom he considered as his successor. On the 30th memorial day of Mor Gregorios of Parumala, the Holy Synod of the Malankara Church convened by Mor Divanasios Joseph, selected Kochuparambil Ramban Paulose of Mulanthuruthy and Wattasseril Fr. Geevarghese Malpan as Metropolitan-designates. Five years later, on 2nd November 1907, Mor Divanasios Thirumeni's another close associate, Kadavil Paulose Mor Athanasius passed away and was entombed at the Aluva Thrikkunnathu Seminary Church. With the demise of Kadavil Thirumeni, he became very sad and hence Mor Divanasios decided to ordain the two Rambans chosen, as the Metropolitans, as early as possible. On 31st May 1908, the Patriarch of Antioch Moran Mor Ignatius Abded'Aloho II (Abdulla) ordained the two Ramban's at the Dayro of Markose in Jerusalem (ext), as Mor Kurillos Paulose (ext) (Malankara Metropolitan from 1911-'17) & Mor Dionysius Geevarghese Wattasseril (later Malankara Metropolitan, 1909). In July, the same year, both the Metropolitans together with the newly ordained Patriarchal delegate, Sleeba Mor Osthatheos (ext) (Kunnamkulam, Arthat Simhasana Church) reached Malankara, and were given a rousing welcome. Pulikottil Thirumeni being at the fag end of his life, was very enthusiastic in welcoming these bishops. He wished to hand over the powers of the Malankara Metropolitan to his successor at the earliest, but the managing committee rejected the proposal and begged him to continue. Earlier in 1895 itself, Mor Divanasios wished to relinquish his position, but then also the Church had rejected his request. These episodes explains the confidence of the whole Church in this Chief Prelate. After serving the Church as an high priest for nearly four and half decades in its true apostolic traditions the Malankara Metropolitan Mor Divanasios V Pulikottil was called to his heavenly abode at the age of 76 on Sunday, 11th July 1909. His body was entombed on the very next day in the Old Syrian Seminary Chapel at Kottayam. The hardships faced by Mor Divanasios during his earlier years as Metropolitan is unexplainable. It was only his strong faith and complete support from the Patriarchate of Antioch that helped the Malankara Church to overcome its difficult periods of the 19th century. 'Even the persons outside the Syrian Community who condemn the Metropolitan as a litigious man cannot deny that if he had not endeavored to litigate in defense, against the growing schism, and thus conserve the Syrian Orthodox Church, the Church would have remained in a scene of confusion, feud and internecine strife and none of the improvements could have been introduced'N. The Syrian Orthodox Christians recognize him as the founder of the modern Church. His visionary stewardship of the Church in Malankara through its trials and tribulations, his unswerving loyalty and respect to the Patriarch of Antioch, his tireless efforts in establishing institutions of theological and secular learning, and above all his devout life as a servant of God will always be cherished by the church in Malankara .